As early as 2004, I was fortunate to be able to get in touch with a Yossi Zur of Haifa, Israel. He had come across our web page, and wanted to inquire as to what we knew about his branch of the family. The first thing to recognize was that his name was adapted to the environment in Israel, but his actual name was Josef Zollinger. As the story unfolded, it turned out that his family immigrated to Israel from Romania. Yossi's grandfather had been able to move to Palestine before WW I, but later returned to Romania. After the holocaust of WW II, he and his family were able to return to Israel in 1948, and Haifa became the new home. Over the years Yossi has made an outstanding effort to research his family, and has written a book on the family's history. In doing so he was able to capture as much information as he could from the earlier generations. Fortunately his grandfather Solomon Zollinger was still alive then, and was able to provide him with much family history. Later, and to find out more, Yossi hired a Romanian genealogist, who was able to produce birth certificates as far back as the 1850ies. But the political situation concerning Jews in Bukovina province at that time was such that very little documentation was left. 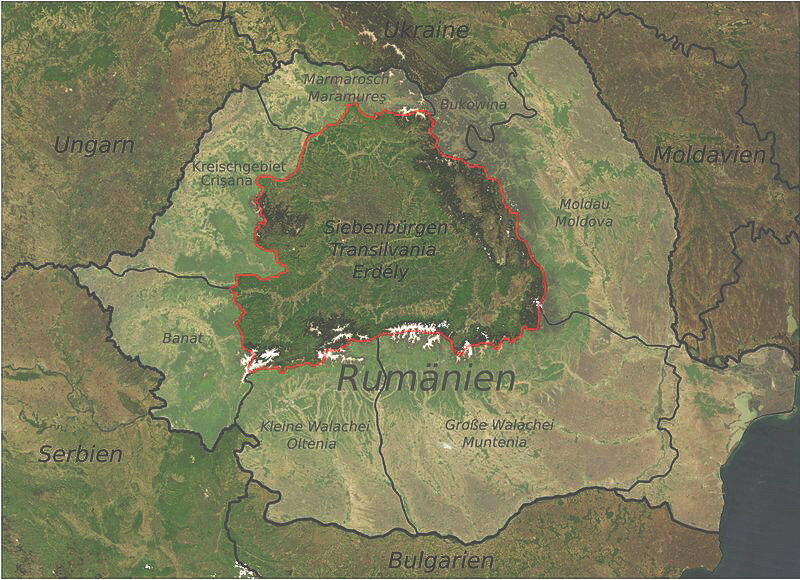 The origine of the family is in the very north-eastern corner of what is today Romania, close to the border of Moldova and Ukraine, and on the eastern slopes of the Carpathian mountains. During the early days of the family, the region was a border area between Russia, the Austrian-Hapsburg monarchy and the Ottoman empire. But whoever was in charge, the persecution of the Jews was a constant. In turn the Jewish population formed their own society, with limited contact to the outside world. The early birth certificates give the home town of the Zollinger family as "Ludikumora". This location can not be found any longer. But one of the daughters married a spouse from a town called Arbore, and this is know today for its historical painted church. Nearby is the town of Solonetz, and this is where the family ended up by the 1890ies. In the early stage of the First World War, the Jews were then driven out of Solonetz, and were forced to settle in the provincial capital Suceava. Suceava had a long Jewish tradition, and according to historical documents had at one time 18 synagogues. During the communist regime following the Second World War, all of them were destroyed, except for the Gah Synagogue, which has an interior richly decorated with symbolic representations of the Tribes of Israel and views of Jerusalem. Suceava also has two Jewish cemeteries, one dating back as far as 1600, and possibly some Zollinger relatives may have been buried there. From the scant records of the earlier history of the "Bucovina" Zollingers, many of the branches at various points in time simply disappear. Some were taken to concentration camps in Ukraine in WW II, others moved to the capital Bucharest, or on to Israel, and there are traces of at least two families who emigrated to the USA. Fragments of documentation are known from Brooklyn, New York, from Palm Beach, Florida, and from Chicago, Illinois. Unfortunately none of these families seem to have had offspring to the present time. So it looked like Yossi and his family in Haifa were the only survivors of the turbulent times that the family went through. But in 2008, I received a surprise: an Ilan Zollinger made inquiries about the family Zollinger. As we together reconstructed his family tree, it turned out that his parents had come from Bucharest to Israel, but then moved on to Sao Paulo, Brazil. From there Ilan moved to California, where he now lives. Ilan provided me with all the information about his family he was able to find, and on the basis of that data I was able to link him to the Yossi branch. I was so excited to have found a relative of Yossi, that I decided to phone him in Israel right away. However, the timing was bad, as it was Israel National Day celebration, and Yossi was just then watching the fire works, and so could not hear a thing I said! All the same, the connection was established, and as Ilan's two sons were just then planning a trip to Israel, they were invited by Yossi, and were fortunate to meet family there they did not even know they had. Until our contact with Ilan, Yossi thought that his was the only Jewish family of Zollingers, and now we have a second one. There are however traces of other Jewish families, based on immigration records from the Ellis Island data bank. These families can only be identified as Jewish by the first names, such as Nathan, Rachel, Isaac, Levi and Benjamin. There are at least six such families in the USA, all arrived between 1840 and 1880. These families settled in the Bronx, New York, Baltimore, Detroit and Goshen, Indiana. They gave their countries of origin as Prussia, Russia, Poland or Hungary. However none of these families seem to have had offspring to the present, and since all Zollingers who are listed in the USA phone books have by now been contacted, one must conclude that all these branches must have died out. It is also possible that their offspring changed the spelling of their name, and as such they could no longer be identified and found. And so indeed Yossi and Ilan are today the only Jewish Zollingers on record. That leaves the big question for last: how can the Zollinger name, originally from the Z�rich Highlands, end up in North-Eastern Romania, and be of the Jewish faith. Given the scarce records that survive, we may never know. What we do know is that the area was the border between the Austrian-Hungarian Empire and the Ottoman Empire, and that the Austrian government had long standing campaigns to settle German speaking emigrants along the border in order to fortify and defend it. The general area was known as "Siebenb�rgen", and several settlement waves took place. Was there a Zollinger among them? Such a Zollinger family did indeed migrate tot he border area, but to the very western part of the Banat, where they settled in Blausch�tz (Ploschitz) on the east bank of the Danube, not far from Belgrade. There the family built up a new life under great hardships, and only a few members of that branch can be found in Germany today. Is there a link between Blausch�tz and Solonetz? We may never know. And so one of the most interesting branches of the Zollinger family may never be linked to the overall family tree.